When Frenchman Luc Besson was discussed at the recent RBC Film Club showing of The Lady (2011) is was implied that this versatile director would normally work in the world of fiction and his biggest influence were the comic books he read as a young boy, The Extraordinary Adventures of Adele Blanc-Sec (2010) certainly matches this description. Besson’s last but one film transports us back to 1911 Paris where a prehistoric pterodactyl egg hatches at the Natural History Museum, it escapes and terrorises Paris. 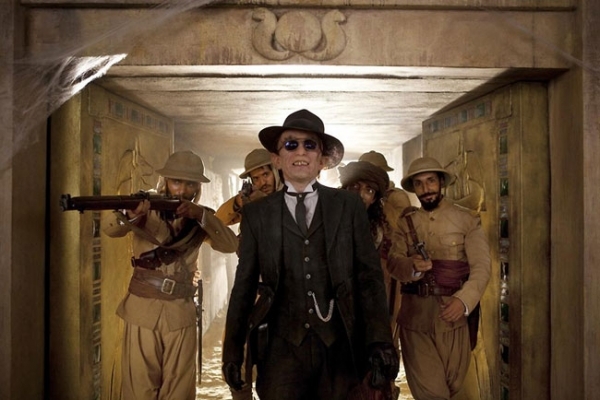 Meanwhile writer and adventuress Adele Blanc-Sec is in a Egyptian tomb to steal the mummy of Rameses doctor whom she suspects if brought back to life will cure her sister’s paralysis coursed by a terrible accident involving a game of tennis and a large hat pin. What a pleasurable, fantastically crazy piece of nonsense our clever French director has served up. This quest of life over death is brilliantly told, shot and acted. Superbly adapted from the comic books that portray the far-fetched adventures of this brave and beautiful heroine written and illustrated by the French comic artist Jacques Tardi. Besson fell in love with the character over ten years ago and he contacted Tardi who told him he had already agreed that another director was to adapt his stories into a motion picture. After a period of three to four years there was still no sign of the film being made, our insistent director contacted the author for a second time and promised that he would keep faith with the original characters, the story’s era and location and the designs found in the comic books, Tardi agreed and Besson set about writing the screenplay. When Tardi finally saw the finished work it was reported that he was delighted with the adaptation, especially with the way the action centred on the heroine, one of Besson’s strong points is the way he portrays women in his films. 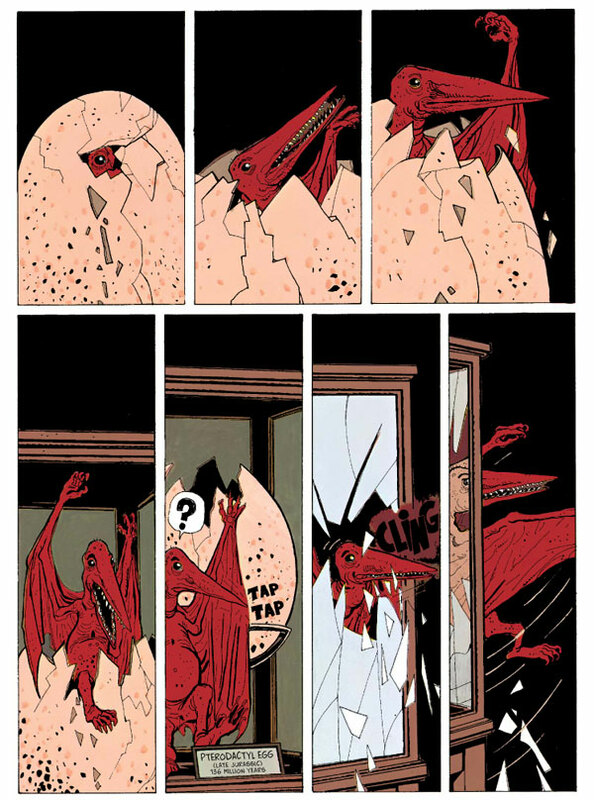 A prehistoric pterodactyl egg hatches!! 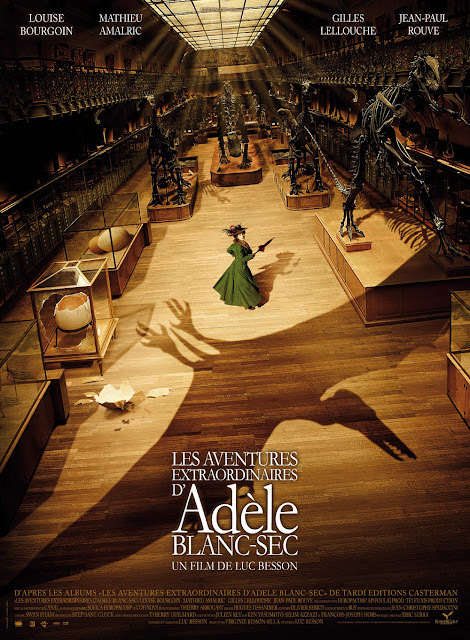 Adele Blanc-Sec is a cross between Sherlock Holmes, Arsene Lupin and Indiana Jones and is compelling portrayed by the lovely Louise Bourgoin in her debut feature film. She had to play 15 variations of the character in the film for which she was deservedly nominated for a Cesar award for The Most Promising Actress. Others involved in this light hearted and fun filled adventure is the completely unrecognisable Mathieu Amalric as the villain Dieuleveut, Gilles Lellouche as the intrepid Inspector Leonce Caponi and Philippe Nahon as Professor Menard. The film includes some great special effects, brilliantly authentic sets, is full of energy and humour and is well worth a look. This is one franchise I would love to see more of.